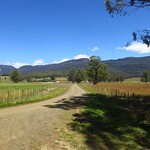 The karst landscape of Tasmania’s Mole Creek area is famed for its caves. One of the most accessible is Honeycomb Cave. Caves are not safe places, and the open nature of Honeycomb Cave can be deceptive. 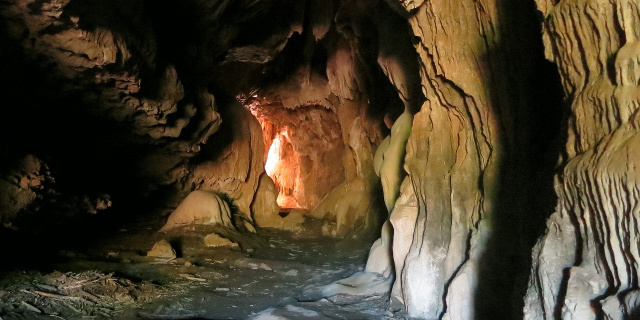 In June 2015 a visitor to Honeycomb Cave suffered a serious fall. Watch the ground and do not step anywhere you cannot see clearly. Do not go out of sight of daylight if you are not a trained and equipped caver. 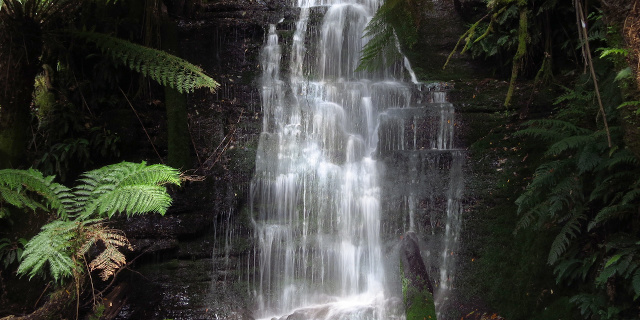 Westmorland Falls flow off the Great Western Tiers, south of Mole Creek, Tasmania, Australia. 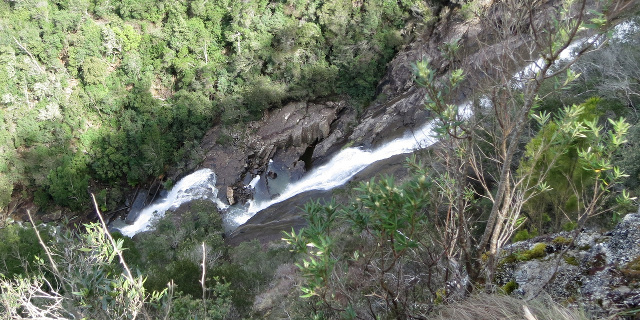 The falls are short but picturesque and surrounded by rainforest. 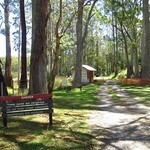 Parts of the walking track to the falls were destroyed by floods in January 2011. Replacement work in 2013 included a new bridge and lookout platform. The bridge survived further floods in 2016 but the lookout platform did not. A replacement platform was built further downstream. 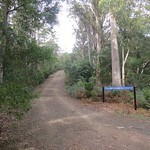 These photographs show the state of the track as it was in January 2015. As of January 2017, the repaired track was about 1.8 kilometres long (3.6 kilometres return). 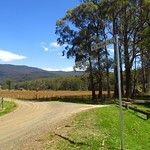 Westmorland Falls lie within part of the Mole Creek Karst National Park, so visitors will need a current National Parks Pass. 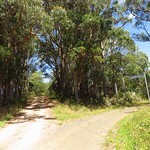 The simplest way to navigate to the falls was to drive to Mole Creek, then turn south onto Caveside Road (sealed). 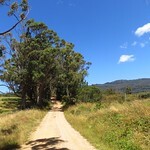 We turned west onto Wet Cave Road (unsealed), south at Honeycomb Cave, and then it was a short drive uphill to the Westmorland Falls car park. If you are approaching from Launceston and are familiar with the area, turning onto Caveside Road at Chudleigh may be more scenic. There are many places titled “Lost Falls” in the world. The ones in Tasmania are quite easy to find, flowing off Wingys Tier on the east coast. 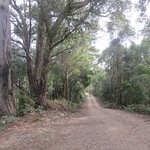 They are also quite accessible, being an easy drive from most parts of the state followed by a very short walk to the lookout. 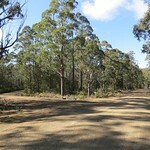 From almost anywhere in Tasmania, the best route to Lost Falls started on Lake Leake Road (sealed). 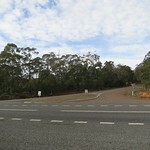 From there, we turned south onto McKays Road. 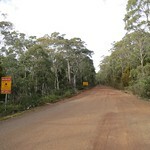 About three kilometres along this road, we turned east at the sign that said “Falls”, and drove for another three kilometres to the Lost Falls car park.